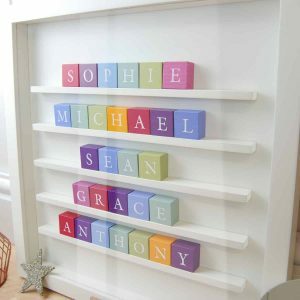 Hand stamped wooden Alphabet blocks mounted in a white painted timber frame. 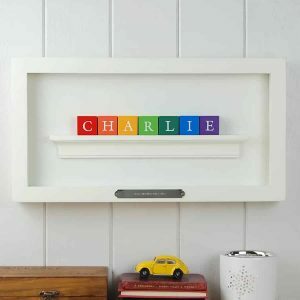 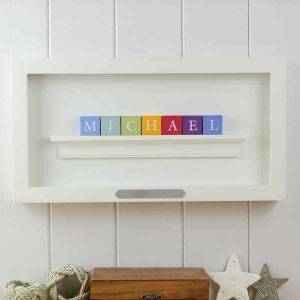 These personalised frames make a great Baby gift, Christening gift or birthday gift – you can add the time, date of birth, Christening date or personal message to the engraving plaque which is attached to the front of the frame, or you can leave blank for no engraving plate. 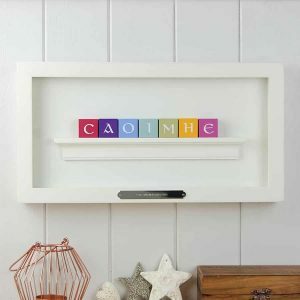 Choose Classic or Irish lettering from the menu below. 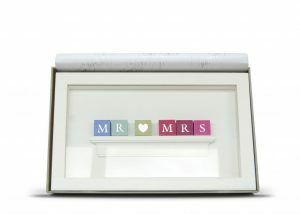 For fadas, or any other accents please specify in Notes box on checkout page. 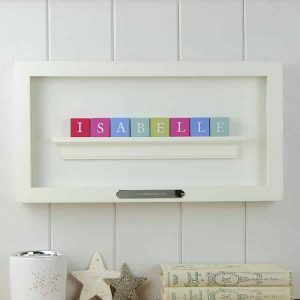 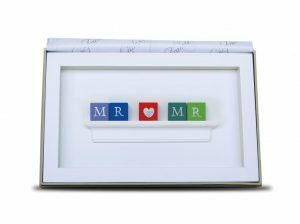 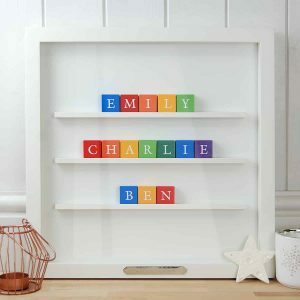 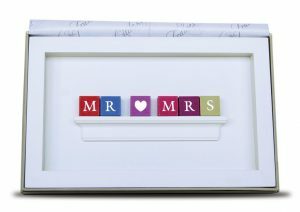 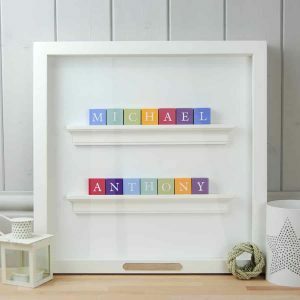 ABC Frames are available for single names, double names or for twins, and for family names – 3 names and more. 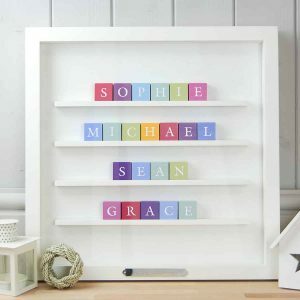 All our blocks are made and stamped in our Dublin Workshop and there is a great selection of colour ranges and you can also choose Classic or Old Irish lettering on the blocks.